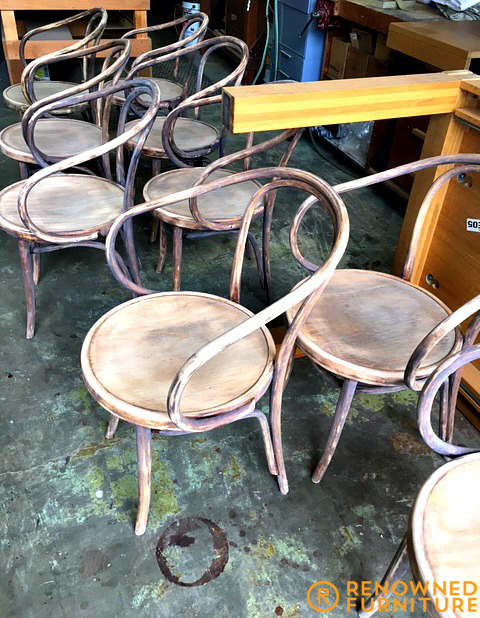 There are more than 100 of these bentwood chairs that have seen a lot of life in an Italian restaurant here in the Brisbane city. One by one, they’re being lovingly restored to perhaps better than their former glory. The team at the restaurant is over the moon with the results so far – 30 done, 85 to go! Keep the faith! Another set!